One of my new year resolutions this year was to be better at keeping the lab blog up to date. The last year has been really busy - and to stand any chance of starting fresh this year I’ll have to squash in a lot of exciting news from the last year. Firstly, and most importantly, we had some excellent students start and finish in lab (and also graduate!). Chris Todaro earned a First for his final year project and graduated in July. 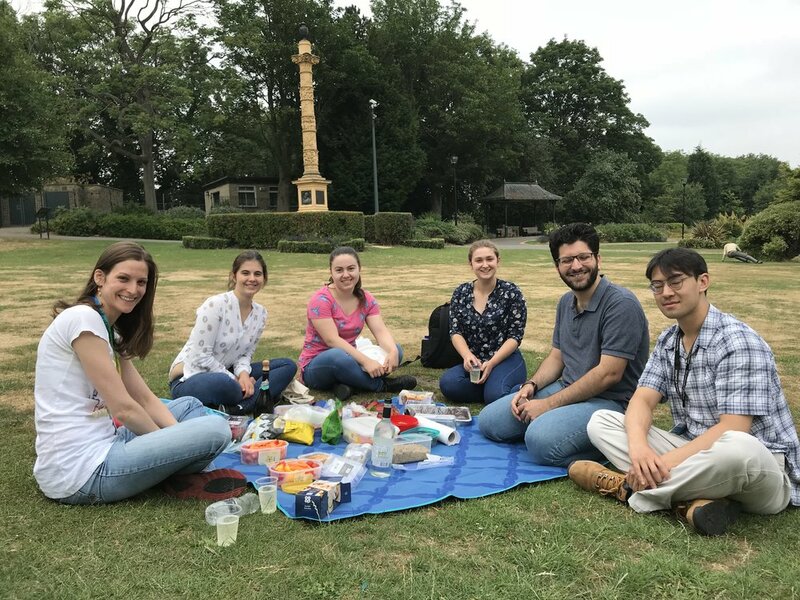 Naimah Hameed joined us in a flurry in March for her project, introduced us to the concept of a fuddle picnic in June, and graduated with a first for her MSc in December (she is looking very professorial in her gown in the pic below). In summer, Imogen and Sabina joined us for summer placements, and Chris Callaghan joined the group in October for his 4th year MBiolSci project. We also had Morgan, Josh and James in the lab for their third year projects before Christmas; they are recovering now from their winter exams. 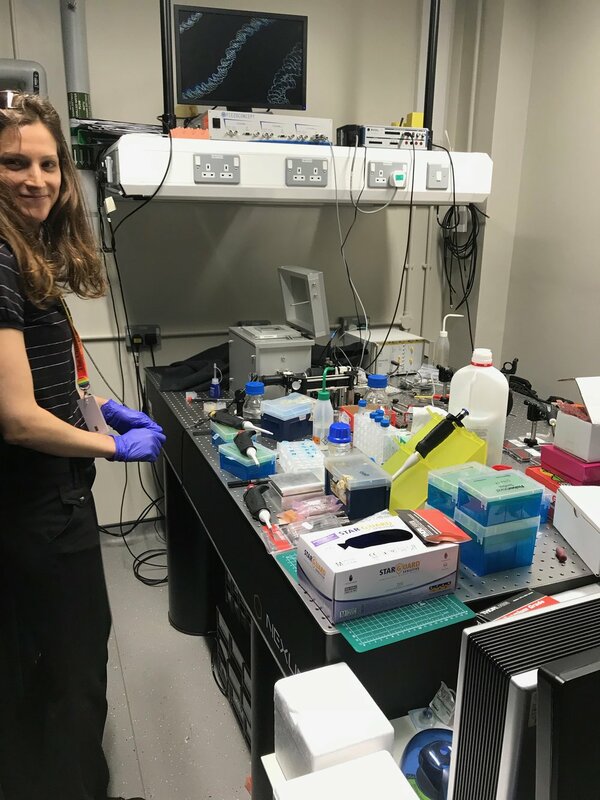 We also had some excellent news with funding: we were awarded a Sir Henry Dale Fellowship from the Wellcome Trust and Royal Society in November, which will start in the new year. Most of the last year (and much of my lazy blogging) was due to getting ready for this, with last minute rushes to meet deadlines, preliminary data, interview practice, trips to London and, eventually, celebrations. We also were awarded a Royal Society Research Grant last easter which let us set up an exciting collaboration using single-molecule FRET with Tim Craggs in the Department of Chemistry. We started a cool new project with Nature Podcasts, who are following us and Twelvetrees lab over the course of a year as we get our groups up and running. We had a joint Christmas lunch with the Thomson and Twelvetrees lab, at Emma’s house, which involved a human-chain to move tables and half a Christmas lunch across the street in Sheffield, and an interesting costume choice from our current 4th Year Student Chris. As ever, we maximised our Christmas parties with joint dinners with the Wilson and Mitchell labs and with the Sheffield Cryo-EM group, where we took a beautiful walk on a windy day in the Peak district. 2019 promises to be really exciting; the lab will get much bigger, as we will have two new PhD students, and a postdoc joining the group. As our Fellowship funding started, we’ll get the chance to start and establish many of the really exciting projects that have been brewing for a while now. All I have to do is stay up to date with the blog!